I’m really excited to be asked by Caroline and Andrew owners of the Manor Farm Tea Shoppe in Bleasby in Nottinghamshire to run a sewing workshop. We are hoping that it will be the first of a number that we have planned throughout the year. Manor Farm Tea Shoppe www.manorfarmteashoppe.co.uk for those of you who may not know it yet, is set in the delightful Trent Valley in the rural village of Bleasby. The tea rooms are known locally for their quality home made cakes, soups, quiches and sandwiches and they take pride in using local fresh seasonal produce, much of it being grown at the farm, you can’t get fresher than that! To top it all the staff are a really friendly bunch too. 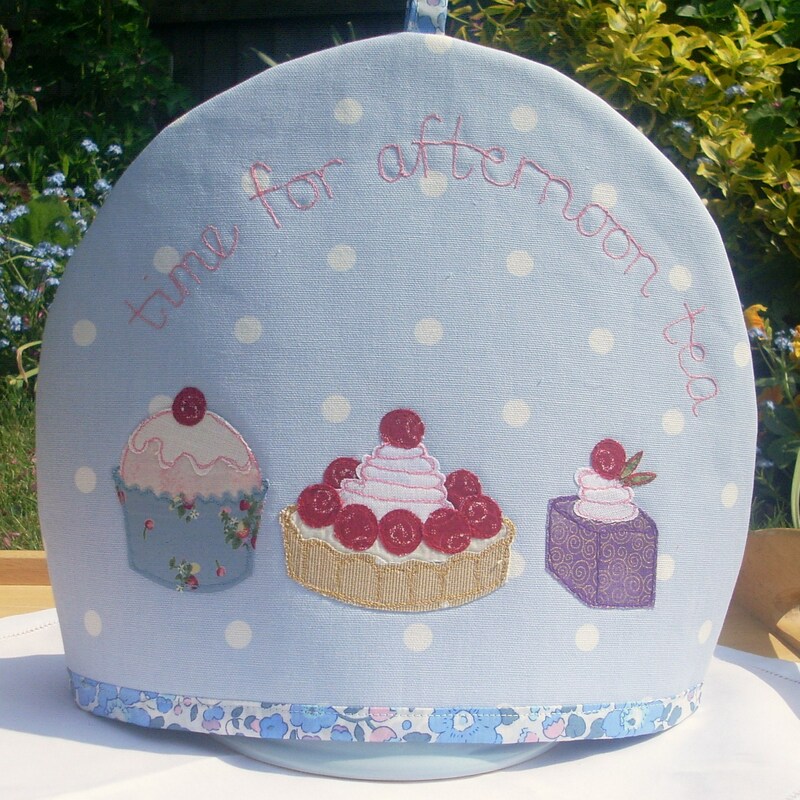 Fancy learning how to applique and draw with your sewing machine? 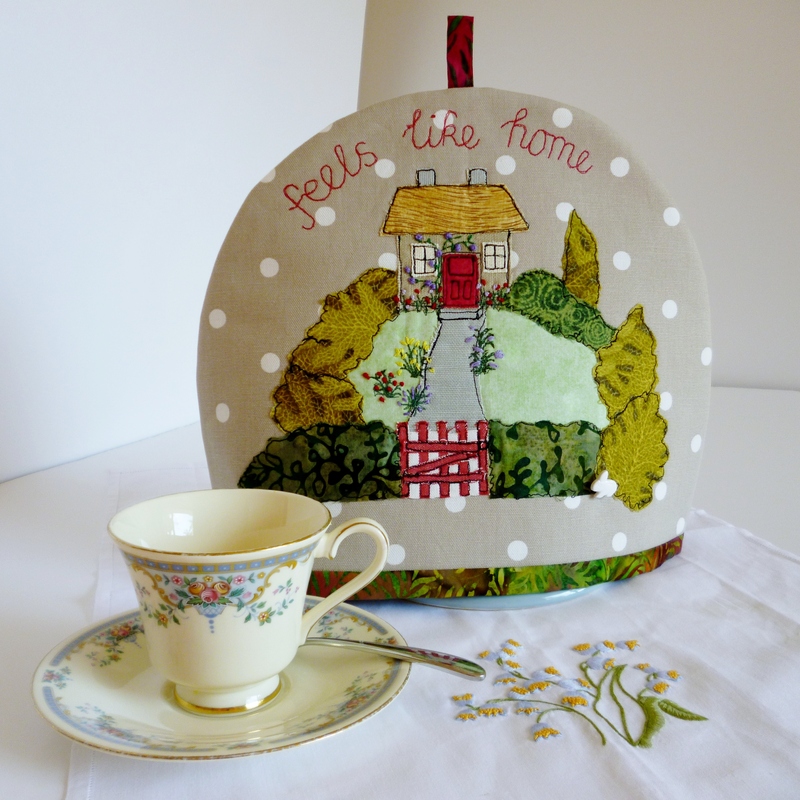 Why not join us at Manor Farm Tea Shoppe in conjunction with Jane Lightfoot, local designer and creator of beautiful handcrafted textiles? 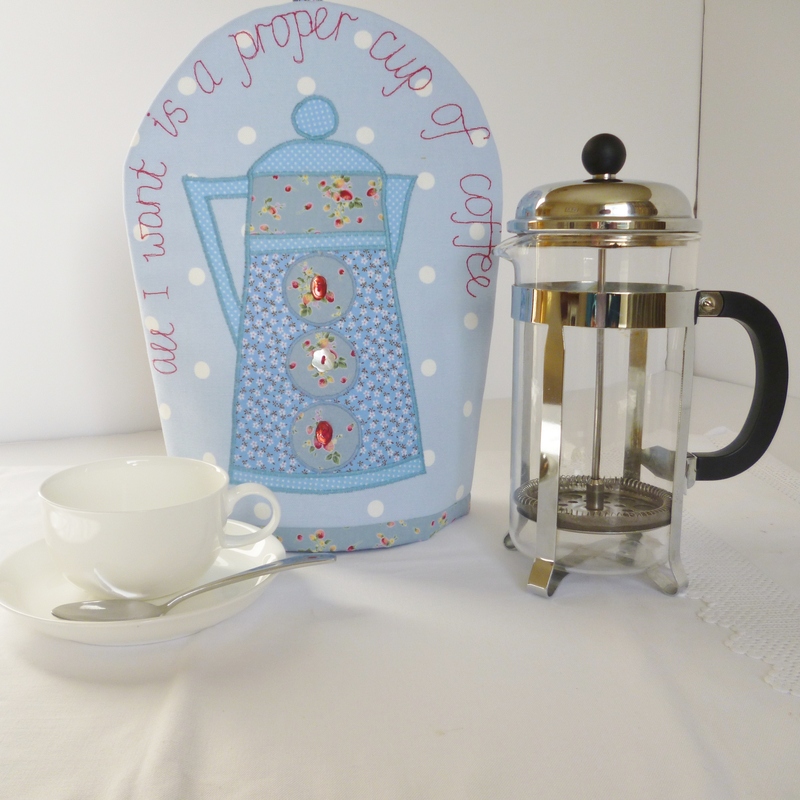 Sign up for an all-day sewing workshop in our purpose built function room, where you can turn your hand to making a lovely appliqued and free machined tea/cafetiere cosy. Not only will you have an exquisite item that you can take home proudly, you can also enjoy a light lunch in a relaxed and friendly environment. You will develop skills that you can take away with you and apply to your own craft projects. MATERIAL COSTS: £9 payable on the day and includes face and lining fabric, interfacing/bondaweb, wadding, cotton. If you prefer to bring your own materials please indicate on booking. IT WOULD BE HELPFUL IF YOU COULD BRING ALONG YOUR OWN SEWING MACHINE & BASIC SEWING KIT, HOWEVER WE HAVE TWO AVAILABLE FOR USE. So, what better way to spend a day, lovely surroundings, lovely light lunch, and a fun creative day where you can truly discover and develop new skills. Booking essential. We hope to see you soon.